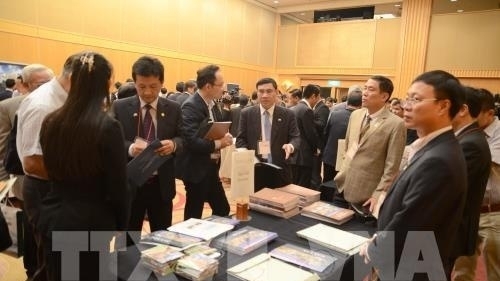 Japan's Kanagawa Prefecture in collaboration with the Ministry of Planning and Investment and the embassy of Vietnam in Japan, held the Vietnam-Japan Investment Cooperation Forum on September 15, in Yokohama, Japan. 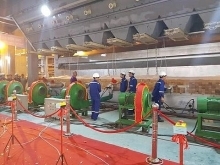 The event featured the participation of delegates from nearly 200 Japanese enterprises and more than 40 enterprises in Vietnam’s provinces of Dak Lak, Ha Nam, Hung Yen and Hau Giang. Speaking at the forum, Kuroiwa Yuji, the governor of Kanagawa Prefecture, highly appreciated Vietnam's investment environment with its abundant labor force, maintaining a high economic growth rate of over 6%, and its favorable policies, as well as administrative procedure reform. Governor Kuroiwa Yuji expressed his hope through the forum that Japanese businesses will continue to invest more in Vietnam. Addressing the event, Vietnam's Ambassador to Japan Nguyen Quoc Cuong, said that the friendly relationship between Vietnam and Japan is the cornerstone of economic cooperation between the two countries, he added that Vietnam is becoming one of the most attractive investment destinations for Japanese businesses. The ambassador thanked the Kanagawa Prefecture for organizing the forum and praised the efforts of Governor Kuroiwa Yuji in contributing to better bilateral relations. The investment cooperation forum offered favorable opportunities for Japanese companies to invest in Vietnam. Under the framework of the forum, the Vietnam’s provinces of Dak Lak, Ha Nam, Hung Yen and Hau Giang introduced the strengths, potentials and supporting policies of the provinces to Japanese enterprises which aims to encourage Japanese businesses to invest in the locality. The presentation has attracted the attention of many Japanese businesses. Kanagawa has a population of about 9 million, second only in Japan after Tokyo, with a GDP of more than US$ 300 billion. It is also one of Japan's most invested provinces by Vietnam. The province has its own industrial park in Hung Yen.